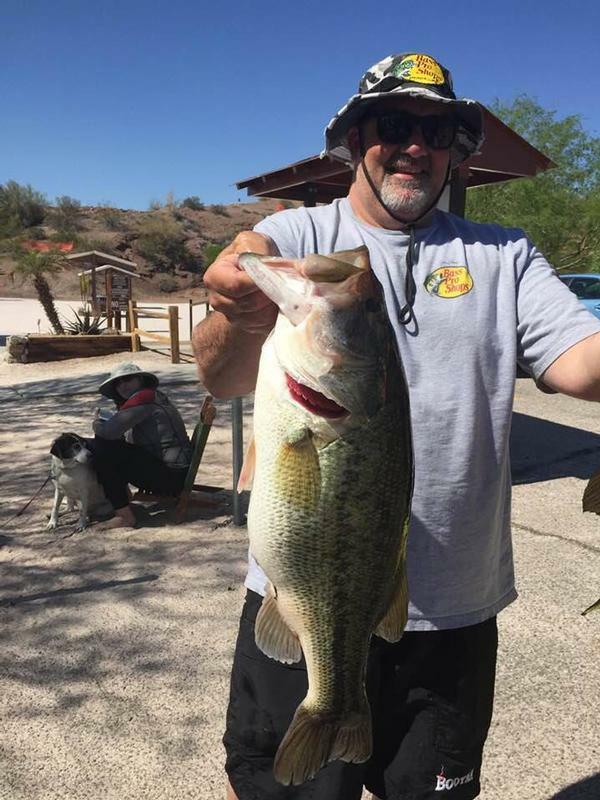 Lake Havasu has long been producing great catch rates of larger than average bass. The environmental factors that contribute to the success of this lake were the result of a multi-agency partnership that installed fish habitat on the relatively barren lake bottom. The “fish condos” and other plastic and natural planted habitat have allowed the food chain to thrive in full force from the smallest plankton, all the way up to 30 pound plus striped bass! This over 19,000-acre impoundment on the Colorado River is absolutely loaded with fish! 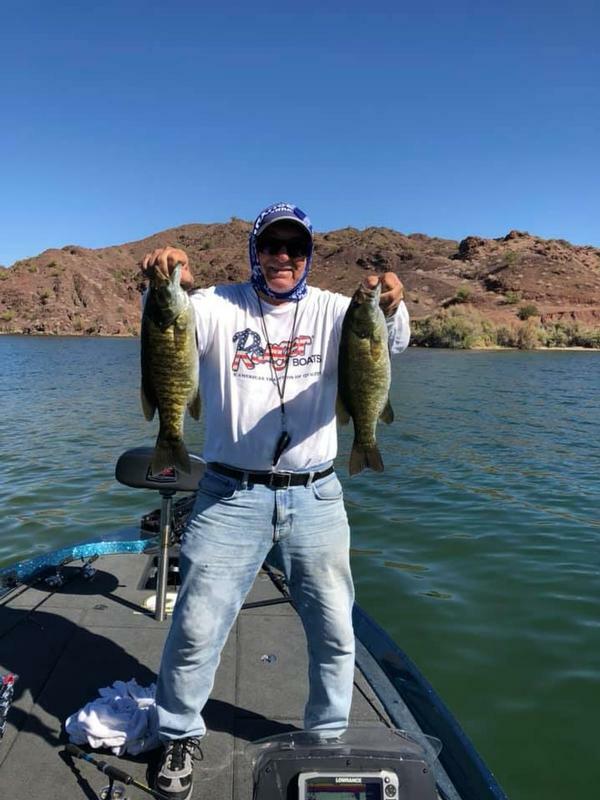 Limits are common, and the tournament circuit makes frequent stops here to take advantage of the optimum conditions, amazing weather, and general hospitality of the greater Lake Havasu area. The fishing for both largemouth and smallmouth bass at Havasu is currently experiencing its prime years. Thanks to a habitat improvement project that begun in the 1990’s, the population of these popular species has essentially exploded. It is not uncommon for inexperienced anglers to do very well at this lake, and experienced anglers report phenomenal fishing on a regular basis. In addition to the supplemental habitat, Lake Havasu has many other habitat options that give anglers options. Tules, boat docks, canyon country, and rocky shorelines all hold the potential of harboring bass and each of these areas require a slightly different approach to catching them. The following overview can be used to help anglers bridge the learning curve and experience success within this gorgeous slice of Arizona. Anglers know that, at any time, they could hook into a double-digit bass at Lake Havasu. This lake grows them big, but landing these giants could pose a problem due to the techniques anglers must use in such a clear lake. Often, to experience the most success, anglers must use smaller lures and lighter line to present their offering in a natural fashion. Because of this, large fish often break the line before being lifted from the water for the customary photo opportunity. To combat this, spinner baits, crank baits, and other reaction-type lures retrieved quickly can induce strikes before the bass even really know what they are striking. A distinct benefit of such clear water is sight fishing for spawning fish on beds in the spring. Parts of Havasu typically warm up before other areas of Arizona and provide great early spring spawning action. Sight fishing is exactly how it sounds…Use your eyesight to find bass guarding their beds, and simply toss a soft plastic into their vicinity. After several rounds of this, bass typically get rather frustrated and strike the lure out of spite. Polarized sunglasses greatly increase your chance of seeing fish on beds because they reduce the glare and allow you to see into the clear Lake Havasu water. In an effort to continually grow the bass population in this valuable fishery, we ask that catch and release is practiced during the spawn. Bass are hardy fish, and if released quickly, will resume their daily activities, and will potentially bite again after forgetting about their recent encounter. Some bass anglers choose to practice catch and release on all largemouth and smallmouth bass, although it is completely legal to keep a limit if you so desire. Lake Havasu is home to arguably the best smallmouth bass fishing in Arizona. The rocky shorelines, sheer canyon walls, and submerged rockpiles provide plenty of sanctuary for a burgeoning, yet still growing population of smallmouth bass. Pound for pound, smallmouth bass provide a great fight for anglers who either seek them out specifically or catch them while in search of other species. The following time-tested methods have been catching Lake Havasu smallmouth bass for quite some time, we don’t expect that to change any time soon. A variety of artificial lures and plastic baits will fool Havasu’s clear water smallmouth bass into biting. Timing, location, and presentation are all key factors for netting more fish, think stealthy yet aggressive tactics...Clear water, especially on a warm, sunny day without wind, calls for light line and realistic lures, fished very quickly. Bluegill pattern crankbaits, white spinnerbaits, and a variety of realistic jerkbait patterns will work well under the very common clear, sunny skies over Lake Havasu. As winter cools off the Arizona desert, the smallmouth fishing at Lake Havasu can certainly heat up! Cold windy conditions require your attention to be focused on windswept banks with nearby swift drop-offs. Fish brightly colored crankbaits like the firetiger pattern deep for cold day bass. Also, fishing suspended jerkbaits at about 20 feet should get you into the action this time of year as well. If it’s cold, and cloudy, white or chartreuse jerkbaits may do the trick. Even though Lake Havasu is a desert lake, it can get downright chilly at times! By preparing for this ahead of time, anglers can ensure they are dressed right, will rem ain comfortable, and have the opportunity fo fish for hungry smallmouths all day without becoming uncomfortable. Spawning smallmouth will readily take soft plastics like jigs and grubs rigged on a small jig head. Six-inch plastic lizards also work well when trying to irritate fish into bighting. Please refer to the sight fishing instructions above, as the same tactics will net results with spawning smallmouth. Please practice catch and release, especially during the spawn. It’s a simple concept really…More fish survive during the spawn, more will be available for years. If the fry are guarded well while on the bed, their chance of growing up increases dramatically. 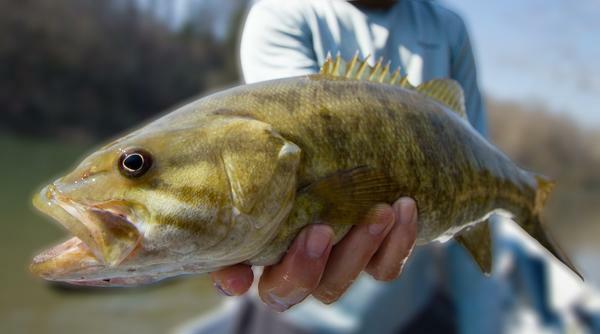 Smallmouth are hardy fish and bounce back very quickly after being released. Lake Havasu produces some giant striped bass, and provides excellent striper fishing throughout the year. The key to your success is to cover lots of water while using a quality fish finder to locate active schools. Striped bass are by nature a schooling fish, and these schools are constantly on the move in search of food. This voracious fish is known to swim up to 15 miles per day in their search, and can prove difficult to locate for unprepared anglers. During the summer months, stripers can be found enjoying the cooler, more oxygenated deep sections of Lake Havasu. Most anglers prefer to fish for stripers at night when the conditions are not only milder for the angler, but also when the fish are more active. Successful anglers place a light in the water to attract bait fish, and many times, a feeding frenzy will ensue. A drop shot leader with fluorocarbon line and a ½ ounce drop shot weight will take your preferred bait right to the waiting fish. Anchovies and live shad seem to do the trick more often than not, although anglers should remember to chum the water periodically to help keep the school beneath their boat. Striped bass become very active and aggressive in the mornings and evenings which can provide some great top water or boil fishing. Common lures such as spooks, Sammy’s, Rico’s, or even paddle tail swimbaits are typically enough to entice a hungry striper to the surface. A cool byproduct of topwater fishing, is watching the water erupt as a striper pounces on your lure! Great colors at Lake Havasu are clear, chrome, bone white, or shad, although there are times when the feeding frenzy is so intense that they will likely take anything. Try your luck at Site Six, Main Channel, or Havasu Springs areas. October and November can provide great fishing during the day as striped bass feed voraciously in preparation for the colder times soon to follow. Jigging spoons or kastmaster lures can be effectively used to catch fish actively feeding on bait fish in the area. Some anglers experience success while trolling live shad slowly to help cover water while searching for an active school. 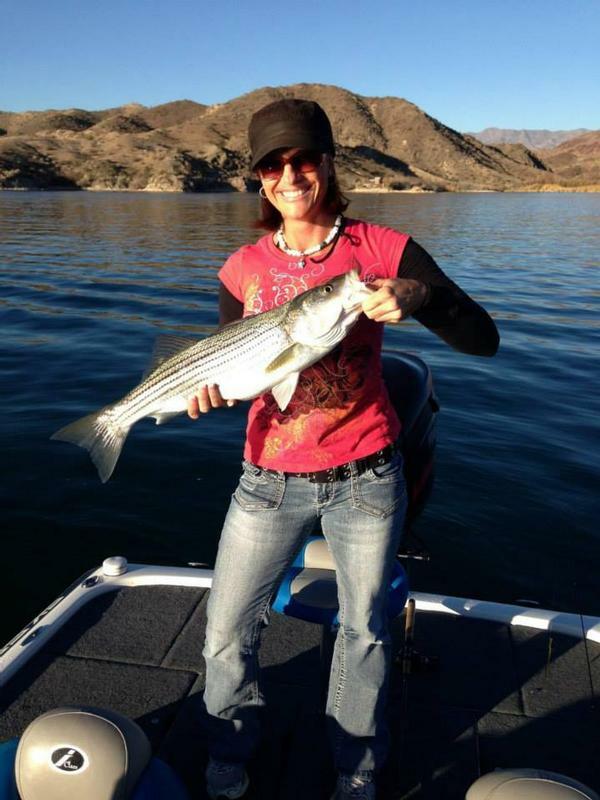 Lake Havasu stripers can be found in shallow to mid depth water this time of year. Alabama rigs can also be used with varying success in conjunction with shad imitation swim baits. 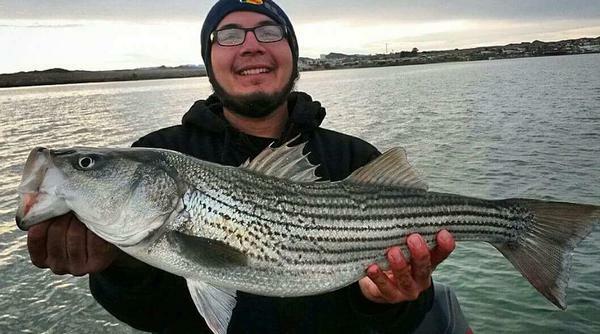 Spring fishing for Lake Havasu stripers has been called “hot or miss”, but in reality, is all about timing. The spawn for a striped bass normally happens when the water temperature reaches between 65-69 degrees and once this happens, the fish become very active! Once again drop shot set ups with anchovies or live shad will be the hot ticket item. As broadcast spawners, striped bass do not use fishing beds and do not watch over their fry. After spawning is complete, they simply resume life as usual. The fish will however remain active after the spawn for roughly 4-6 weeks from Mid-March to late April depending on temperature. Casting Paddel tail swim baits, crankbaits and jerk baits during this time can create a very successful situation. Looking for even more fishing action? Arizona's fishing opportunities are diverse and plentiful, check out our Fishing in Arizona page for information about this exciting Arizona resource. Please refer to the Arizona Game and Fish website for current Arizona fishing reports and licensing information. Remember that all Arizona anglers over 10 years of age must have a valid Arizona fishing license in their posession.